We couldn’t help but dive deeper into Joy’s passion beyond her day-to-day in Seattle. Joy has been in the nursing realm for over eighteen years as a cardiac nurse, and now an Administrative Nursing Supervisor. 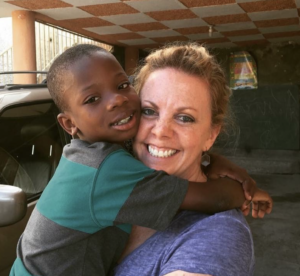 Little did she know after traveling to Haiti and Rwanda on medical mission trips since 2010, she would end up building a home in Haiti for 13 lucky children. Joy founded her 501c3 non-profit, Home for Love, in 2015 and has been providing year round support to these kiddos since. Her compassion, positive outlook on life, and ongoing mission to make a difference had us beyond inspired. My first experience with nursing was when I worked in Housekeeping at Gritman Medical Center right after I graduated high school. Since then I knew I wanted to be a nurse and work in a hospital. What advice would you give a nurse considering transitioning into a manager or supervisor role? I would say it is important to stay true to yourself and your nursing instincts. Never forget you are a nurse first and foremost. Taking on a manager or supervisor role can be rewarding in that you are able to influence and make changes on a bigger scale. It is important you know if your place of business will take your suggestions serious and will work collaboratively with you in that role. What inspired you to initially start your passion project, Home for Haiti? I went to Haiti in 2010 on a medical mission trip and fell in love with the people and the country. Later I met Rodney Leveille, who grew up in an orphanage and had a desire to help children. I didn’t want to start another “orphanage,” but wanted to create a safe place for kids to live, have food and be able to go to school. I always knew I was called to do something in Haiti since the first time I had the privilege of going. How many children are in the home? What kind of support do you provide them? How often do you communicate and/or visit them? Home for Love has 13 children. A lot of the financial support does come from me but we rely on donations and fundraisers during the year. It costs $3,000 a month just to keep the home running including food, gas, electricity, water, laundry and Nanny salaries. This does not include the rent of the home which is $11,000 a year and the school fees for the children which is around $5,000 a year. I communicate with the children as much as I can. We use WhatsApp a lot and we talk or text every couple days. I go to Haiti at least 2 times a year and more if I can. I also help 2 of my Nannies, Jerry and Gardens attend the University in Haiti. Do you feel your role as a nurse has transitioned into this aspect of your life? I think my passion in life has always been to help people. My desire to help led me to nursing, which in return has led me to Haiti. I have been blessed in my life and I feel that I need to share and help others however I can. What are the biggest challenges you face juggling a full time job and being a mother figure to these children from afar? I need to work a full time job to financially support my Children’s home allows me less time to be spend fundraising and really get my nonprofit going to be better sustained with donations. Both a nursing job and being President of a nonprofit take a lot of time and emotion so at times it is exhausting. However, the reward of seeing these beautiful children grow up and have such an opportunity to change the world in which they live is priceless and that’s what keeps me going every day! How can other nurses (and non-nurses!) get involved and spread the word about your mission to help your community in Haiti? 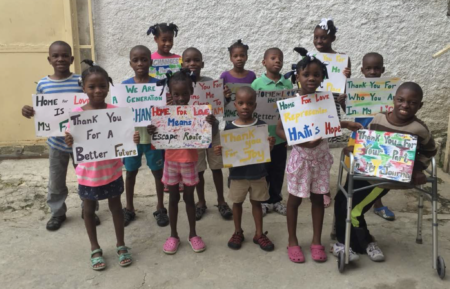 One of my goals for 2019 is starting “emersion trips” to Haiti where we take people to see what Haiti is about and they visit or stay at our children’s home and get to know the kids and stories of their lives. We also hope to start taking medical teams to Haiti to run clinics in the places that really need healthcare. Anyone can go to Haiti. There are many things to do or fix around the house or around the community. We are always looking for folks who have good ideas to start projects in Haiti to help the Haitian people make money or get a job. We of course always need donations or even months donors or folks willing to sponsor a child. You can donate on our website at haitihomeforlove.com or follow us on Facebook and share our FB posts. Go-to choice of caffeine? Starbucks: Dbl tall blonde vanilla latte or (seasonal afternoon drink) a short eggnog latte cut with nonfat milk.